Mix and Match Your Kitchen.. Your Way.. with Slate! We have book looking to update our kitchen for a very long time. And while trends in appliances come and go, there is one look that I really, really like for our 1950's ranch home. I think it will look good for many years, as well! It keeps little hands in check, too, as it naturally hides all those fingerprints, smudges and dirt. Skip all that time wiping down your appliances several times a day and do something better with your life! You can also pair it with almost any surface; compliment subway tile, glass, wood, or bamboo. It's practically the most versatile-looking finish for a modern appliance. Slate also holds magnets. Store your kids' artwork easily! I love that the new fridges clean easily, look beautiful and offer some amazing features, such as showcase LED lighting, dual ice-maker, counter-depth design, and Twinchill™ evaporators for keeping your foods the freshest ever. 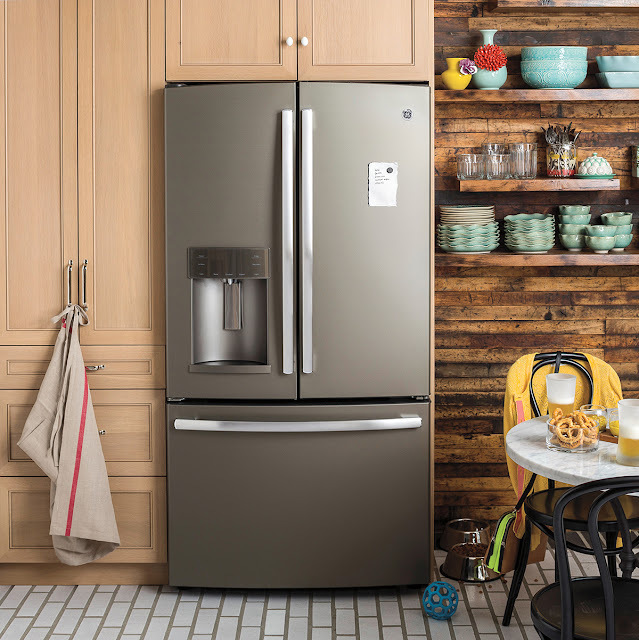 You can find an amazing selection of GE Appliances (including those with the new Slate finish) at Best Buy with a wide range of innovative features. What is your favorite feature? 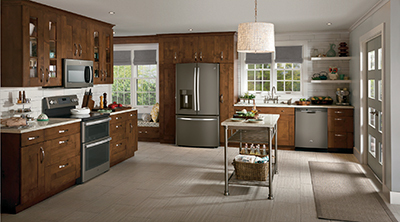 Why would you like these appliances in your kitchen? *The reviewer has been compensated in the form of a Best Buy Gift Card and/or received the product/service at a reduced price or for free.